My latest food addiction seems to come from all the enticing cooking videos on Facebook. Of the every 20 I look at, 1 seems to make its way to my dinner table. That's how it happened this time. I saw this recipe from Spend With Pennies and just had to give it a try. And just a note - in a web search this recipe has a ton of variations on several different websites. My cousin posted this cooking video for Turkey Broccoli Rice Casserole and as I watched, it instantly took me back to my pre-teen years. I know cooking with canned soups has gone out of favour with many and I do try to make everything from scratch as much as possible. But when I was in my pre-teens women started heading back out into the workforce in droves. They were trying to do it all. They still embraced the traditional roles of mother, cook, house cleaner and more, while adding in the responsibilities of working often full time. It was challenging to say the least. 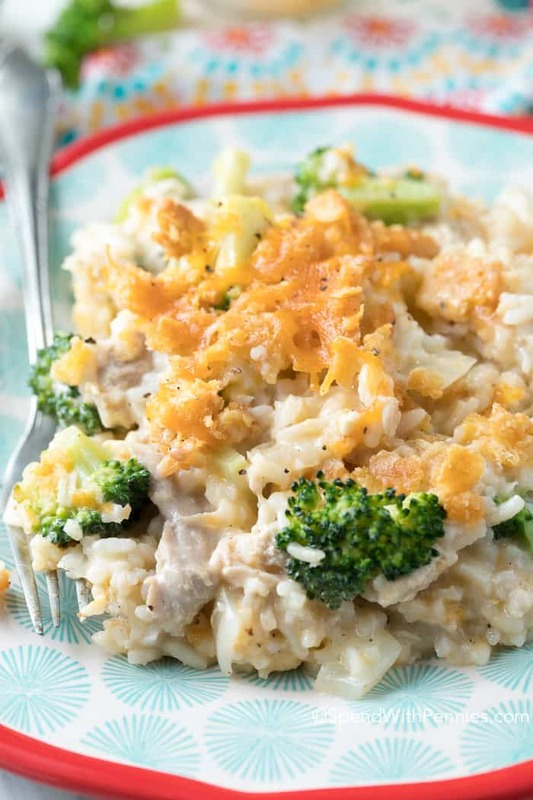 Campbells came to their rescue with easy, quick casseroles made from cooked chicken or ground beef, veggies, potatoes or rice or noodles or Tatter Tots and canned soup. These recipes could be assembled in minutes or even sometimes the night before. It was a revolution in some ways that took a bit of the heavy burden off their shoulders. So now we know more about the importance of making things from scratch as much as possible, and in many homes the men have stepped up to share equal responsibility for running the home, cooking and caring for the kids. So things have changed in terms of what we cook. But every once and awhile I crave a recipe like this from my youth as it brings back memories of home. I did as always make a few changes. No turkey available so I cooked up a few chicken breasts. And I used green beans instead of broccoli as the one son who lives at home despises broccoli. I love it - go figure - but not worth the fight. He will be gone soon. Also, I wanted to use real rice. I tried to adjust the recipe so the rice could cook in the casserole in the oven, but missed the mark. So I suggest if you want to use real rice, cook it ahead of time. 2 cups uncooked instant rice equals 4 cups cooked rice, but that is probably too much as minute rice is a lot fluffier. So I am going to try about 3 cups of cooked rice next time and see if that works. I'll let you know. Cook onion in olive oil in until softened, about 5 minutes. Add chicken broth and bring to a boil. Stir in rice, cover and turn off heat. Let sit covered 5 minutes. In a large bowl combine cooked rice, cream of mushroom soup, cream of chicken soup, sour cream, milk, seasonings, turkey, broccoli and 1 1/2 cups cheddar cheese. Combine topping ingredients in a small bowl. Sprinkle over casserole and bake 35 minutes or until hot & bubbly and lightly browned. Serve warm. Note - I love using less pans. So as I substitute real, cooked rice, I changed this. In step 3 I added the fresh green beans and covered the pan, letting them cook in the broth until crisp tender, then stirred all the other ingredients in. Less pans to clean!